As a child growing up in England I had hours of fun playing ‘Conkers’. Conkers is a game that involves tying a piece of string to a horse chestnut (or conker) and then smashing the conker of your opponent. The two players take turns until one player’s conker breaks. The first game apparently took place back in 1848 and even today I’d be surprised to hear of conkers being wiped out by iPhones and other gadgets. The conker comes from the horse chestnut tree; a tree that’s found in abundance all over the UK. Here in Sydney, 17,000 km away, our chestnuts are even more useful – because they’re edible. The chestnut season in Australia runs from March to June. So a couple of weeks ago I bought a big bag at my local farmers market and decided to share some chestnut love here. Before sharing the soup recipe itself I wanted to talk about the nutritional content of chestnuts and how to prepare them. They store well in a plastic bag in the crisper section of your refrigerator for 2-3 weeks. 1. Cut: Place the chestnut on its flat side and cut or score half way around the nut, piercing both the outer shell and inner skin (use a sharp knife). 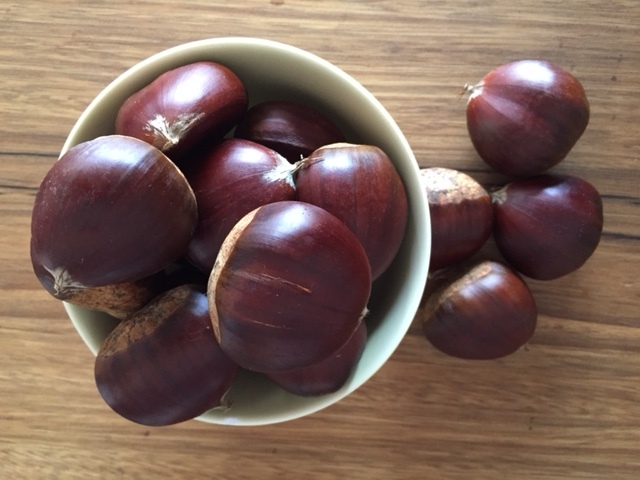 Roast/bake – cook chestnuts in the oven at 200C until the shells open along the cut (around 15 minutes). Microwave – place a single layer of chestnuts in a covered container on high (850 watts) for 2-3 minutes until the shells opens and the flesh is soft. Boil/steam – add chestnuts to a pan of cold water or a steamer, cover and bring to the boil, then simmer for 15-20 minutes until shells open. 3. Peel: Use a tea towel to wrap the cooked chestnuts. After a few minutes (while they’re still hot) peel off the outer shell and inner skin. Soup is a classic and easy way to hero chestnuts in an Autumn or Winter dish. And chestnuts pair perfectly with pumpkin and parsnips. 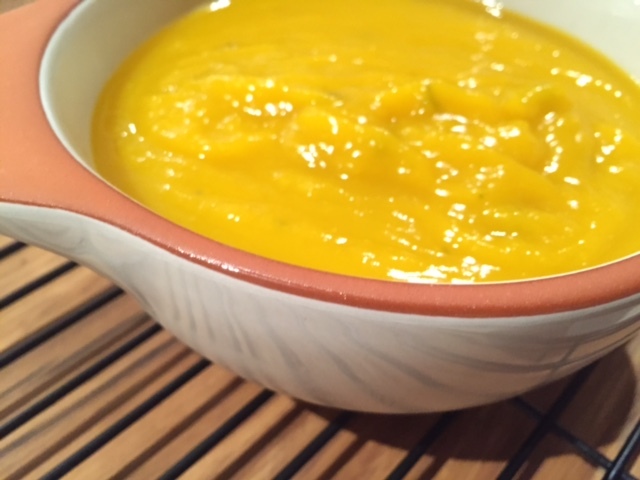 I choose to make chestnut pumpkin soup, but whether you use pumpkin or parsnips the quantities here serve 2-4 people. Melt butter in a large saucepan and sauté the onions and celery. Add all of the other ingredients except the cream/yogurt and bring to the boil. Reduce to a simmer and cook until the chestnuts and pumpkin/parsnips are soft and tender. Process to a purée with a food processor. Check the seasoning and add more salt/pepper as needed. Add the cream or yoghurt and reheat the soup to serve. I’d love to hear your favourite chestnut recipes….. 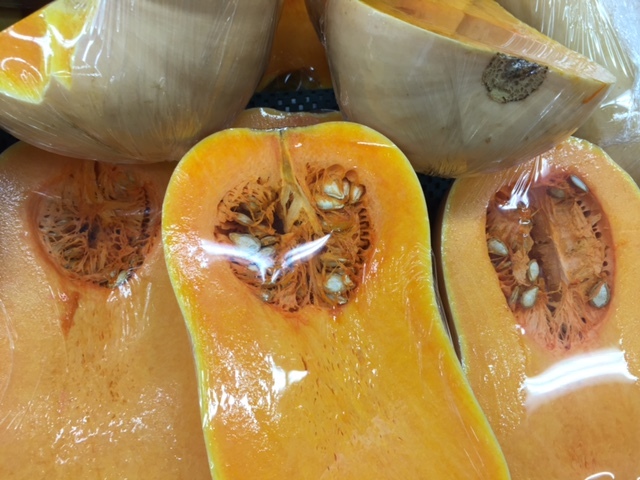 Tags: chestnuts, how to, nutrition, parsnips, Pumpkin, recipe, roasting, soup. Bookmark the permalink. 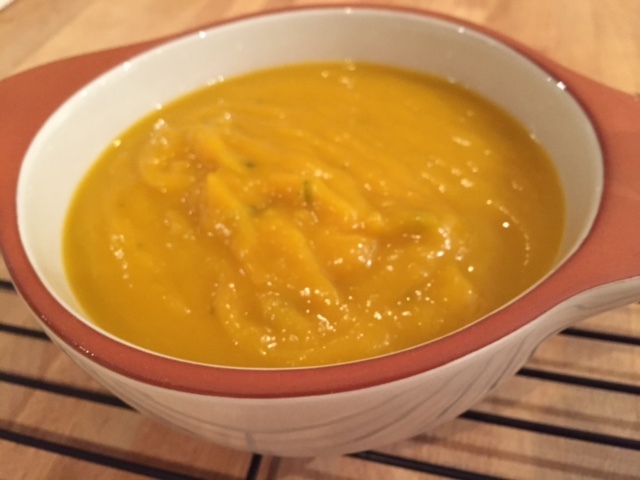 What a wonderful autumn soup! We have chestnut trees all over our city and I always love the fall when you can find loads of chestnuts on the ground. I’m not sure if they are edible or not! 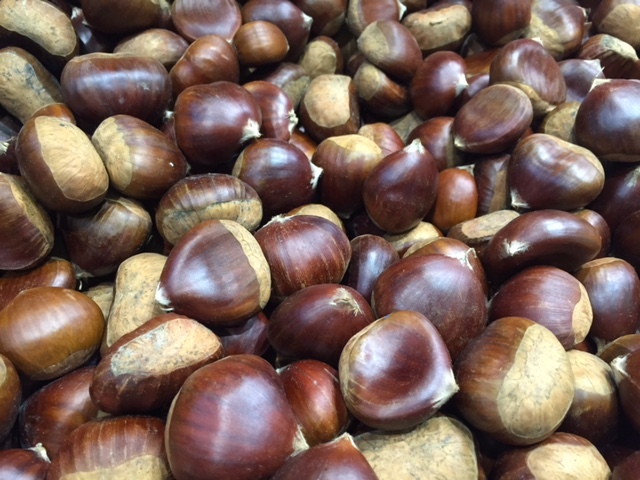 Thanks so much – yes I love the flavour of chestnuts – not sure if your local ones would be edible – perhaps try and find out the name of the tree….you could always play a game of conkers if not! Wow never thought of this combo before – sounds interesting and deliciousss…. Thanks Laura – and you’ve inspired me now to do the opposite and eat them on their own. 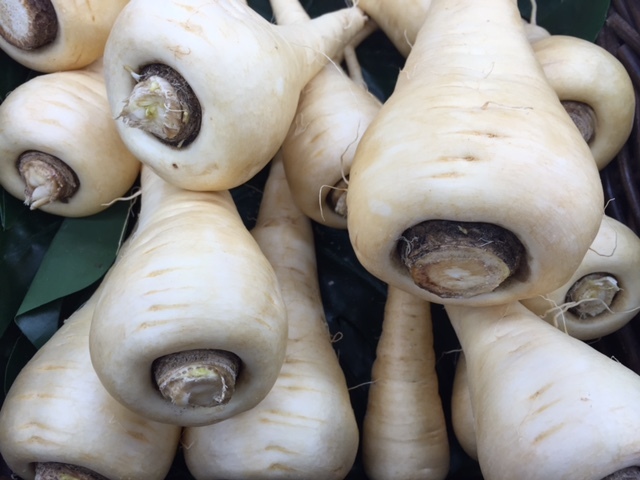 I also love them in stuffing with sage and pork mince……and I recently saw a recipe for chestnut and beetroot soup from Neil Perry which looked interesting!